When you watch Sigrid perform, it’s easy to see why she’s in such high demand. Sigrid is unapologetically energetic as she owns every single inch of the stage she occupies. Her strong relationship with her close-knit band is evident as they collectively mesmerize with phenomenal harmonies and tight timing. 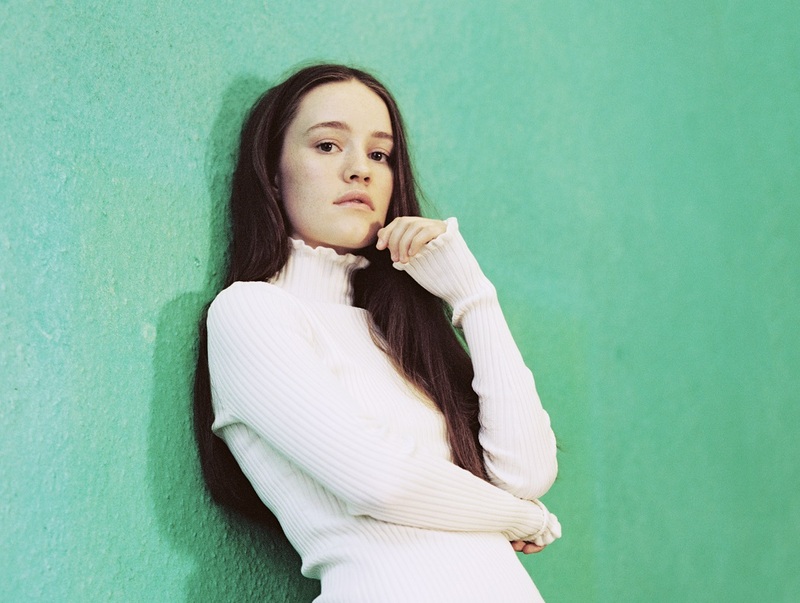 As well as her own headline UK tour this November, Sigrid has coveted support slots with George Ezra and Maroon 5 on their upcoming arena tours. 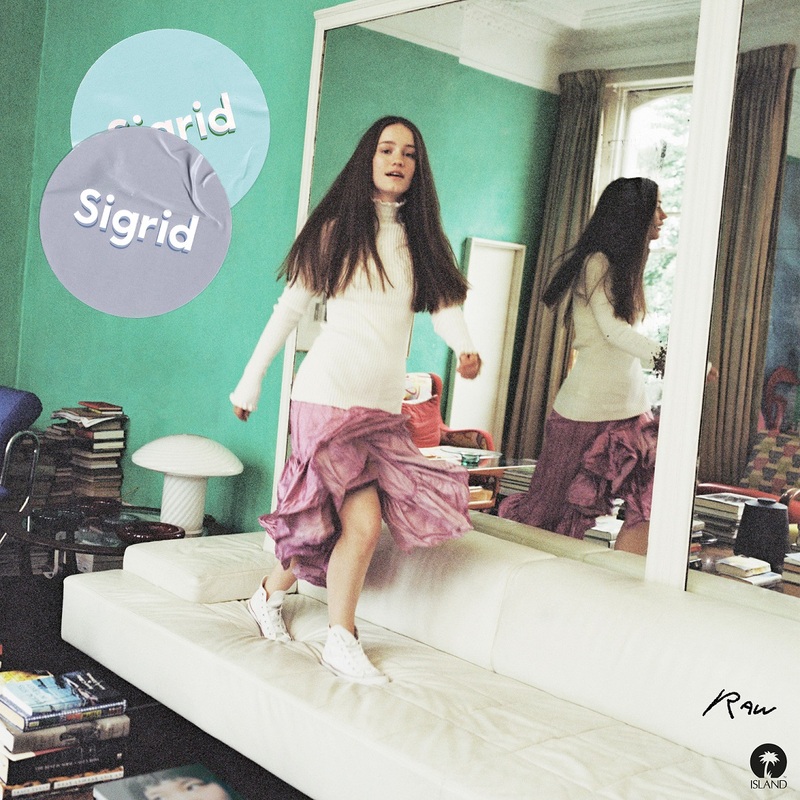 At these upcoming shows, fans will undoubtedly hear tracks from Sigrid’s remarkable sophomore EP titled Raw, released July 2018 via Island Records. Demonstrating her distinct tone and style, Raw encompasses a multitude of different emotions that emphasize Sigrid’s diversity as an artist. The agonizingly authentic emotion of the tracks “I Don’t Want to Know” and “Focus” serve as perfect complements to “High Five” and “Schedules,” both of which compel with radiant spirit. Sigrid’s latest single “Schedules,” Raw‘s final song, marks some of her best work yet, combining faultless vocals with a punchy and vibrant hook. The track is crammed with playful energy and encapsulates the infectious, unbridled joy she brings to every single one of her live sets. It’s a flawless anthem that manages to capture feelings of devotion and love, in spite of less-than-ideal circumstances. By injecting reality into her work, Sigrid manages to connect with her devoted fans in ways that many other artists can’t. Atwood Magazine caught up with Sigrid to discuss “Schedules” and all the other songs on her breathtaking Raw EP. Read on as she dives into her songwriting process, how she’s coping with her rapid ascent to stardom, and the meaning of her new EP. Atwood Magazine: I’m such a huge fan of your latest track, “Schedules”! It’s completely crammed with energy and spirit with such a killer chorus. Why do you feel it’s such an important message to include, especially as the closing track of the EP? Sigrid: Ah, thank you! Haha, well the story behind that song is that I said in a lot of interviews that my goal of the year was to write a 100% happy song without any negativity… Because I tend to get pretty “emo” in my writing. Anyways, since I said that to a lot of people, I kinda had to do it. So I made it together with Simen Hope in Bergen, followed by some additional production by Martin Sjølie and Odd Martin Skålnes. I think “Schedules” is almost borderline silly lyric-wise, as it’s just pure fun, but it’s so much fun to play live and it sounds really cool on the EP! “I Don’t Want To Know” showcases a beautiful, yet different side to your sound. How did the track come about? Were there any specific influences that led you to pen the track with Jamie Hartman? Sigrid: Thanks! Yeah, this one is definitely back on the “emo” track. (laughs) We wrote it together in Bergen – our very first session! – and it was really nice. I’m happy it found it’s way to the EP. Most of your released songs, apart from “Raw,” have been composed in conjunction with other writers. What’s the songwriting process like for you? How does the process vary working with different writers? Sigrid: Hehe, “Raw” was actually written together with Odd Martin Skålnes (in the same room that I wrote “I Don’t Wanna Know” with Jamie)! “Focus,” I wrote and arranged myself in the living room in my childhoom home in Ålesund. I think my writing process is pretty much the same, no matter who I’m writing with. I like to play the piano whilst singing exactly what I’m thinking… and then we talk a lot. I can’t write or perform a song if I don’t relate to what I’m saying. I’ve been very lucky to be working with a lot of different and talented people, but I’m mostly writing with the same few people nowadays. I can’t write or perform a song if I don’t relate to what I’m saying. Your career is going from strength to strength in such a relatively small amount of time. Does it ever feel overwhelming at all? Sigrid: Haaaaaha yes! Honestly, if I wasn’t overwhelmed at all I’d be worried. I knew my music had potential, but not at this speed – not at all. It’s been crazy and great at the same time, and I try to enjoy it as much as possible. What’s been your favourite tour memory or highlight of this year so far? Sigrid: There’s so many highlights! We’re lucky bastards… Hanging with my crew on tour. I could not have done all of this traveling without them. Hmmm…. We played Electric Picnic in Ireland (and an acoustic set with Other Voices), and I turned into a 10-year-old crying kid on and off stage because I didn’t want the day to end. I just love everything about Ireland. So to everyone who was there – thank you so, so much! You have no shortage of songs to put on your EP. Those lucky enough to have seen you live have already heard incredible songs like “I Don’t Buy It” and “Credit.” What made you pick the five songs for Raw? What do you feel ties them all together? Sigrid: Eyyy, thanks! (laughs) I wanna say there was a huge concept behind it and stuff, but it’s just our favourite songs put together. I guess most of them show another side of the production, as it’s a bit more low key… I’m very proud of it. And finally, what does being Raw mean to you? Sigrid: It means to accept all the good and bad sides of yourself and everyone around you. Wow that was inspirational; I should start a Tumblr.